TUESDAY, JUNE 6, 2017 AT 7:00 P.M. This entry was posted in ELVN News and tagged ELVN on June 3, 2017 by elvn_updates. WHEN: Tuesday, April 4, 2017, at 7:00 P.M.
WHERE: 19th District Police Station, Community Room, 850 W Addison St.
Introduction of candidates for seven (7) Board Seats. This entry was posted in ELVN News and tagged board elections, ELVN on March 31, 2017 by elvn_updates. WHEN: Tuesday, February 7, 2017, at 7:00 P.M. This entry was posted in ELVN News and tagged ELVN on February 5, 2017 by elvn_updates. 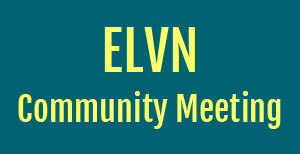 The January 3, 2017, ELVN meeting has been canceled. Please join us next month. This entry was posted in ELVN News and tagged ELVN on January 3, 2017 by elvn_updates. 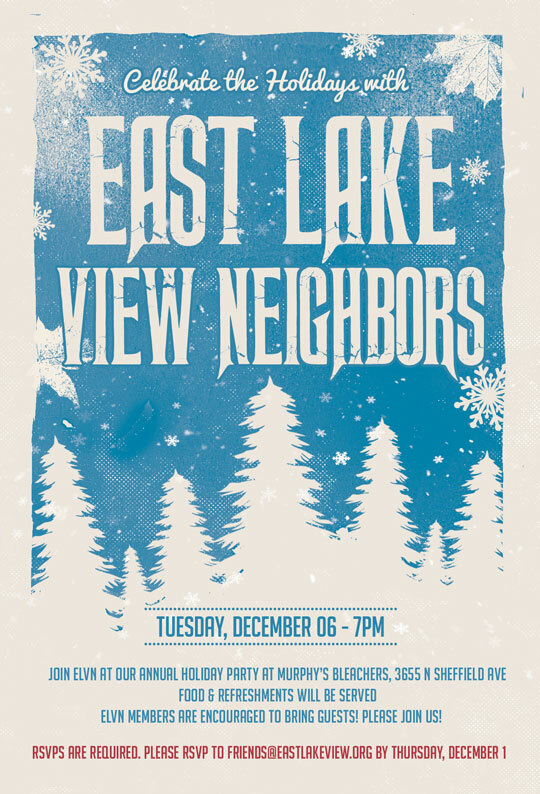 WHEN: Tuesday, December 6, 2016, at 7:00 P.M.
WHERE: Murphy’s Bleachers, 3655 N Sheffield Ave.
At 7:30 p.m., the Board will distribute East Lakeview Neighbors charitable donations to area civic and social service organizations. This will be the only item of business that will be handled at this event. This entry was posted in ELVN News and tagged ELVN on December 4, 2016 by elvn_updates.